Taking a break from the tourist map I trusted the New York City Subway system to the Borough of Queens. Manhattan gets too much sometimes and with a surprise day off work I mixed things up for a change! Trading my usual Brazilian cuisine for something from Jackson Heights, it was going to be a spicy day without a doubt! 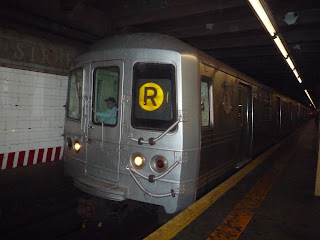 Was it the Q, N or R train? Go go Queen Bee! Take the N, R or Q train direct to the New York City Borough of Queens. I took the R train and got a little lost but eventually, I made my way to Queens. What's Queens known for? It's home to John F. Kennedy International Airport, which happens to be one of New York City's largest and busiest airports. The comedy "Ugly Betty" was focused around this part of New York City too! But let's get one thing completely clear, crystal clear! 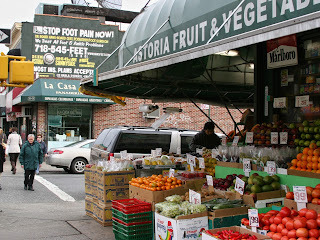 I didn't go to Queens for those reasons, no but to see the neighbourhoods of Jackson Heights and Astoria. I would say that the areas of Queens that I saw appeared to be safe and didn't pose to bring me into any dangerous situations. I would definitely recommend this corner of New York City because it doesn't serve what the predictable places do within Manhattan, for me its all about taking a leap into the unknown! My Subway ride from Newark was long, I need Jackson Heights! Arriving in Jackson Heights was like arriving in no other place that I'd previously been to in NYC before, walking onto 73rd street transported me to a colourful Indian neighbourhood! Before my eyes the streets were lined with countless Indian restaurants, Indian bridal wear stores and Bollywood DVD stores. Honestly, I felt like I wasn't in America for a few minutes as this street felt as if it could be of been in Southall, London or Pleck, Walsall. It was a definite relief to hear people speaking Hindi and other Indian languages as most people in New Jersey and New York speak Spanish and Portuguese but that's not a criticism, I would say it was a nice change for I hear the same sort of languages so it was nice to have a change! My Industrial Placement isn't just about work, trading my afternoon shift after my morning shift got cancelled I wanted to make the best of the day! I had been hesitate to explore The Bronx so Queens had to be done before I would miss the chance! Oh yes, NYC! As I walked through the Asian infused streets of Jackson Heights I was attracted to this film poster, a beautiful Indian actress headlined a new film called "Heroine!" I chose to visit one of the many Bollywood DVD stores and found out that the beautiful actress went by the name of "Kareena Kapoor". I bought the DVD without hesitation as I don't watch many Bollywood films, it's only right to have a respect for world cinema. I started to become really hungry, so I realised pretty quickly that I would have been a fool not to have some authentic Indian cuisine in Jackson Heights for the streets were full of pungent aromas of the many curry restaurants. 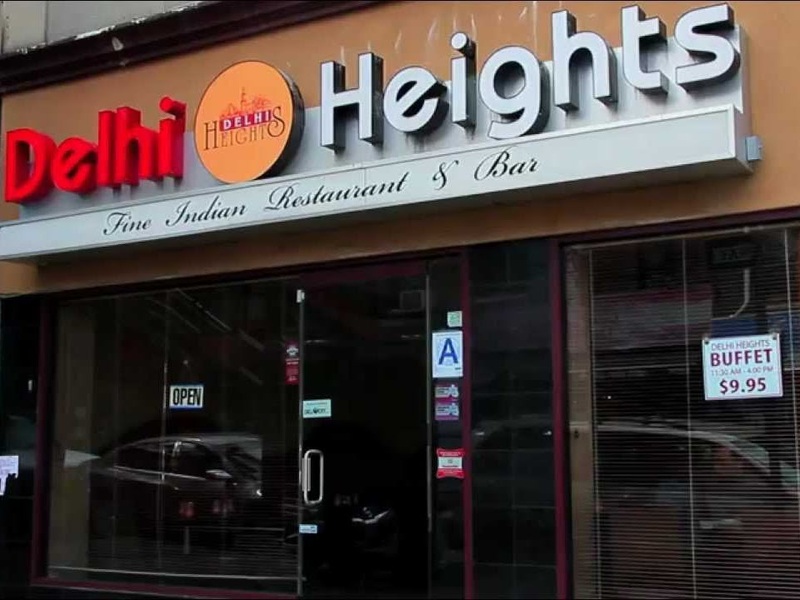 I finally decided to chose a modern looking restaurant called "Delhi Heights". I ate well at 'Delhi Heights', the open buffet had many tasty Indian dishes that suited my taste buds very much, I also indulged by having a cup of Masala chai. Better still it was all for $16.00! My Guyanese friends from the airport were of Indian heritage and they would always harp on about how Jersey City had the best Indian food, maybe they'll take me to one of their favourite places soon? Nevertheless, the feel of Jackson Heights took on a third personality, as I walked beneath the tracks of the overground Subway train I had been on earlier that day I sensed a Latino vibe going on! I didn't have anything to eat but I sure intrigued, catching a sign I could tell I was close to LaGuardia Airport! My Delta flight wasn't faraway! 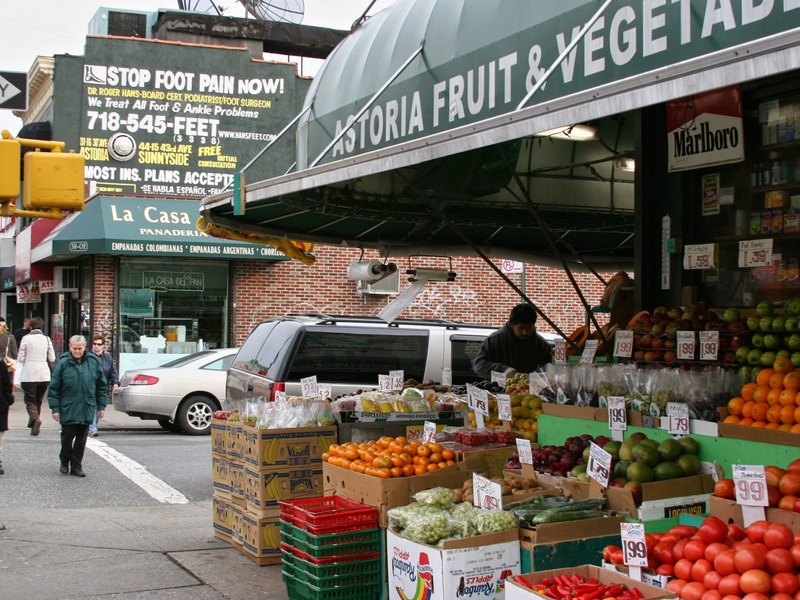 Since being in New Jersey and New York City I have been relishing the chance to see these culturally infused neighbourhoods, yet more sights and smells fronted me as I moved away from Jackson Heights' Asian corner. I had even done one better than my American colleagues, some of them hadn't even been to Queens yet and they had lived in the NY/NJ area since they were born or when they emigrated from their birth country! I wasn't doing too badly! Moving on from the Desi infusions of Jackson Heights I took the N train towards Astoria-Ditmars Boulevard to have a nose around another side of the Queens neighbourhood. I wondered if this next part of Queens would be fit for a Queen like myself!? The subway journey into Astoria showed me that this section of Queens is undergoing a huge change, something of a revival that's keeping the buildings of yesterday looking in good health for today's modern and fast-paced generation. I loved Astoria, for it firstly posed to be a very Greek and Turkish part of town with its tavernas and specialised butchers but the further I walked into the maze of tightly-knitted streets the vibe changed to a Middle Eastern vibe. From the Greek and other Eastern European charms these new streets that stood before me oozed several Arabic cultures from Yemeni, Egyptian and Lebanese influences. Queens, NYC had everything! From the Hookah lounges to the Halal meat suppliers and spice traders I felt like I was walking along a road of International relation and adventure! The shear change in cultures gave me life, those tavernas and grocery stores had said goodbye, it was refreshing to see that Middle Eastern vibe for sure! I wish I had time for a bite to eat but that wasn't so! 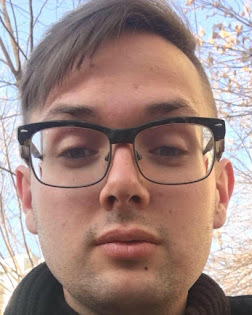 Feeling contented with my Queens outing I needed to get my tricking self back Newark, New Jersey for I was probably on the early shift, connecting to the Wi-Fi at a McDonald's I found the nearest Subway station to make the journey back over the Hudson River. Taking the risk paid on in the end, it pays to be spontaneous from time to time! Who knows next year when I go to Turkey I might see some stores that remain me of the Arabic themed hookah lounges and barber shops from Astoria? I'm so glad I traded my shifts away so I could have a stolen opportunity to see another side of NYC! Yes, I made those dollars back!